I haven’t posted a ride in a few weeks, but I’ve been doing lot of local cycling. In particular, I’ve been enjoying my home mountain, Mont Salève, overlooking Geneva and its lake. Late Autumn is always extra fun here. Lower down is constantly covered in depressing fog/clouds. 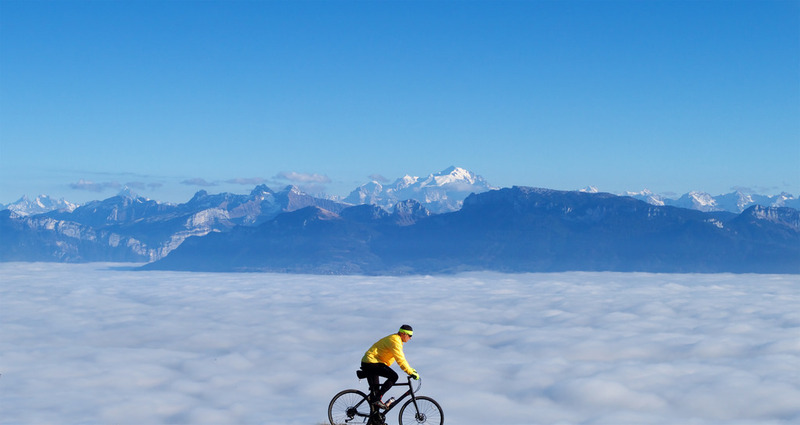 But if one cycles higher, often it’s gloriously sunny above the clouds. If you follow this blog then you know that I like to take photos, so here are a few favourite photos from the last month, all from Mont Salève. Sometimes summit is barely above the clouds. Nice sunset. 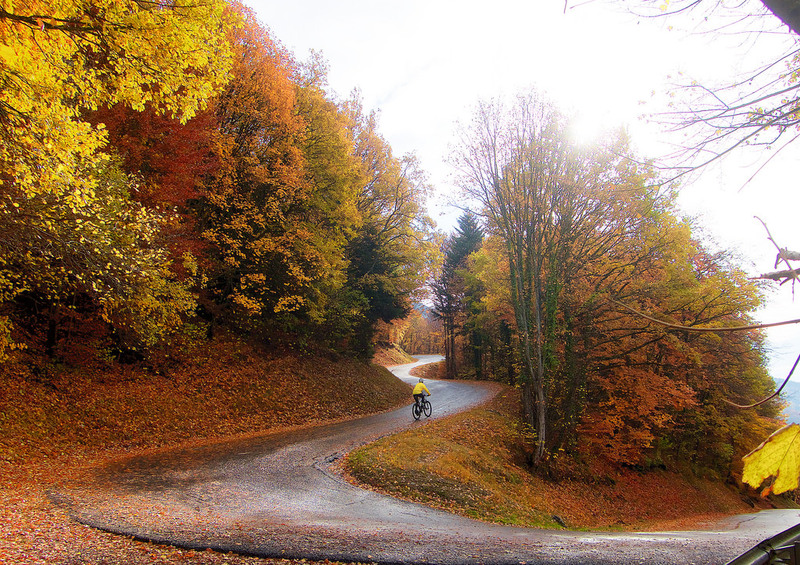 As winter arrives and the high alps passes close, I do a lot less exploring on the bike. But I’m lucky to live at the foot of such an interesting mountain with so many ride options and great views. Such an awesome climb Will. 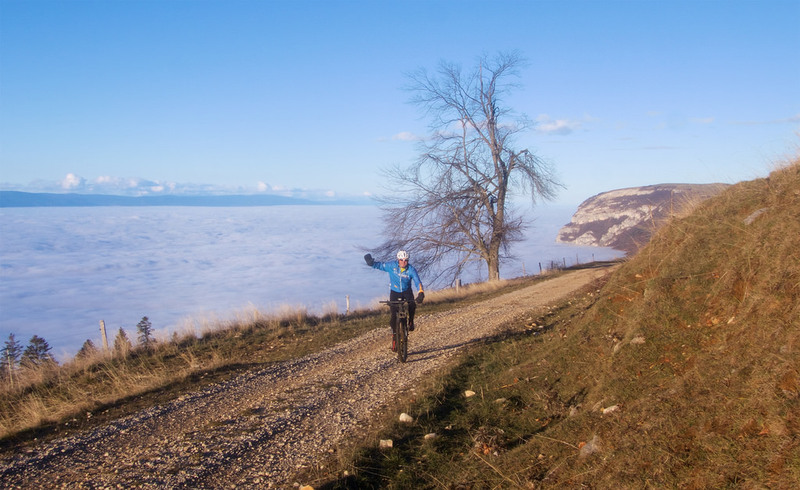 There would be few harder rides in the world than the ascent from Le Coin but like you said, the mountain has so many great ways to get to the top. I know you’re since a few years, the proud owner of a drone to take your glorious pictures. Can you recap something about it ? Which model you’re using ? 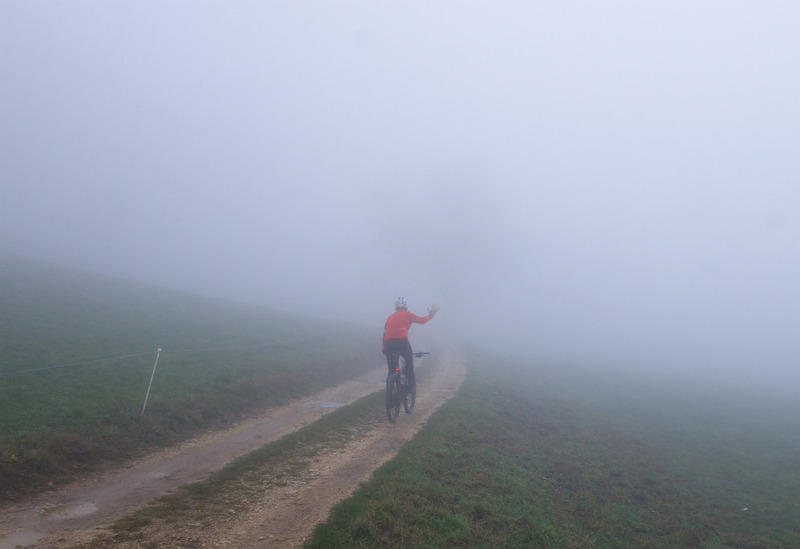 Is it following you automatically (by which means) when doing your rides ? How does it takes the picutes ? Are you taking pictures from the video it takes ? Sorry for slow reply. It is (was) a DJI spark. Basically I make it hover (easy to do) and set it to take photos ever 3 seconds, then I jump on my bike and try and ride into frame. Loved it. Sadly in October I flew it into a cliff. 🙂 .